Welcome to the first entry in our Interviews with Authors series! 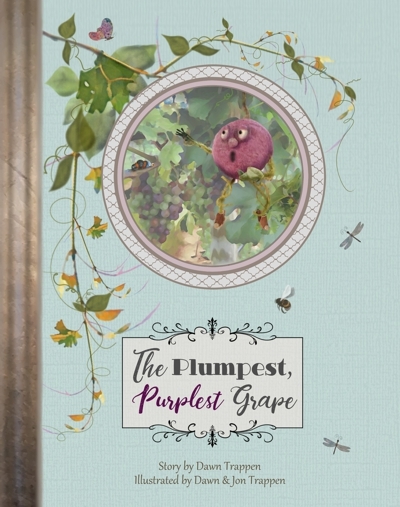 Today we start out with an award winning children’s author by the name of Andrea Studenc. 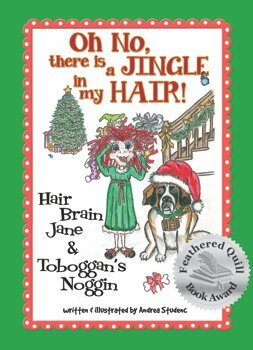 “Oh No, there is a Jingle in my Hair!” was actually Andrea’s third book in the Hair Brain Jane series. It was preceded by “Hair Brain Jane” and “Beach Brain Jane’s Adventure on Hilton Head Island.” Andrea has become a friend of ours and was delighted to be the first author to contribute! Andrea, where did you first get the inspiration or idea to write your story? My first book, “Hair Brain Jane”, came to me from a dream and I made the character come to life. Why is your story or subject important to you? I think the way my character was created is very important. She was a vision from a dream, which proves dreams can come true. My character is about a little girl who has trouble staying focused in & out of the classroom, which is so common today. I stress in all of my author presentations & author visits to schools, why it is so important to stay focused. The teachers see this happening in their classrooms & the kids do understand that their little minds do start to roam. Did you learn anything new about writing along the way? Boy did I learn about writing. Lots of bumps can occur. A lot of re-writing & spell checking. If you could share one piece of advice with a beginning author, what would that be? Take your time whenever you are producing your work. Always make sure that your work is checked & re checked. Have several capable people check your work. What one does not see, another one can. Always allow plenty of time for production, especially if you are on a time frame, say for instance, if your book is a seasonal book. A big challenge is always to know what is available to help you become a better writer. You have to be able to give the public what they are wanting to read. A writer needs to stay in tune with the competition of today’s society. Where have you been selling your book, what has worked best? I have been selling my books at local shops where I reside, through my FB page for my character, through e mail, word of mouth & author events. All have been proven to do well. Are you a Dog or Cat person (or neither!)? Both! Your favorite book: Happy Birthday Moon! Any last thoughts before we conclude the interview? If anyone ever has a dream of writing and illustrating, I say , “Go for it!” One never knows where it will lead you to. I never in a million years would have ever thought that my Christmas book would have actually won an award for best seasonal book. I only hoped for this. So this is proof that Dreams can come true! We have created a page to give those of you that have written and published your books a chance to give advice and encouragement to people just starting out. We know you have learned so much along the journey! Your willingness to help fellow writers is appreciated. If you have written a book and would like to share some of your wisdom, please send us a note!